Excellent bath and kitchen, completed with oven, dish-washer and washing machine. I also like how they separate the toilet and the bath. The apartment was quite spacious, clean and was very well-lit. Famous attractions are just a short walk away. Staffs were very friendly and helpful. It is good location walking distence to all atractions. The suit is comfortable , the supermaket near by can make we like the food . The apartment location, Cleanliness and the facilities. Nice, comfortable and spacious apartment- very tastefully done up with excellent kitchen facilities. Neat and clean facility with a charming addition of a turntable and records of Mozart symphonies which were delightful to listen to after a hard day of sightseeing. This along with special reclining chairs added to the character of the place. My family loved it very much and had a great time. Would certainly like to come back here for a longer stay. Excellent location! Just in the heart of the city! In accomodation everything is new (bathroom, kitchen, furniture) and comfortable. It's very romantic and ideal for family or couple. The parking place is enough for a big car (Volvo XC 70). The personnel is pleasant. Eco shampoos and conditioners made a special additional positive impression. To be honest, we are happy that we chose it for our holiday! We liked the apartment arrangement: the small space was optimally used and furnished. The whole place had a friendly vibe: a nice wall paper, light colours, etc. The bed was comfortable and the kitchenette was well equipped. . The location was perfect. It only took me a thirty-second walk to reach the Old Town Square, where there is an abundance of restaurants and bars to choose from, as well as history to dive into! Highly recommended!!! We were in Prague for the second time and both times we were at ABC apartment. It was great. Rooms are quite big, clean and comfortable, kitchen is equipped. Both apartments are situated not far from the metro. 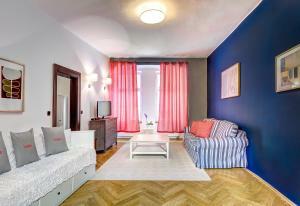 And also apartments are situated in the center of Prague. 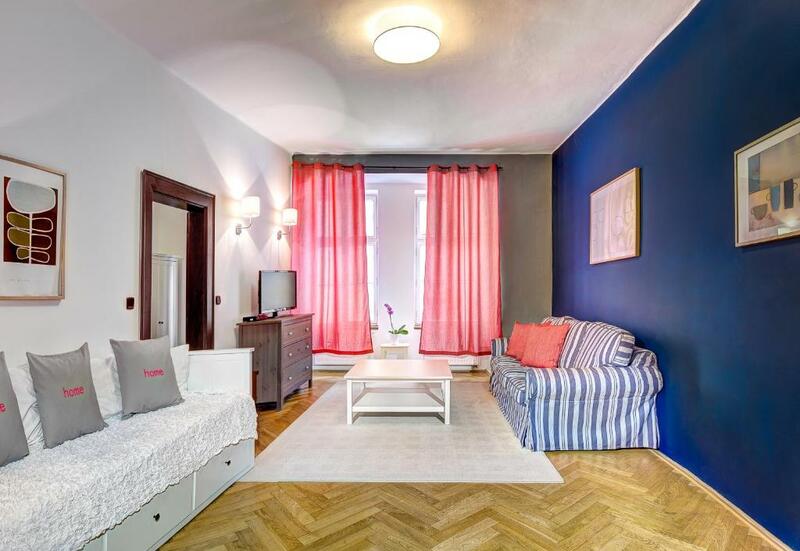 Perfect location, great central heating, spacious one bedroom apartment (Mozart). Very secure property, 2 locked gates and 2 front doors. Quiet area. Lock in a great price for ABC Suites – rated 8.9 by recent guests! 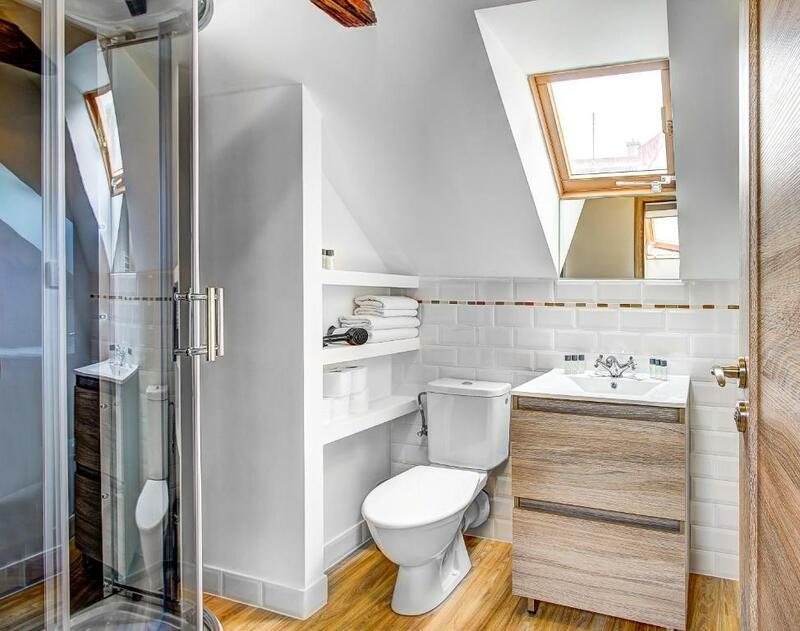 ABC Suites This rating is a reflection of how the property compares to the industry standard when it comes to price, facilities and services available. It's based on a self-evaluation by the property. Use this rating to help choose your stay! One of our best sellers in Prague! 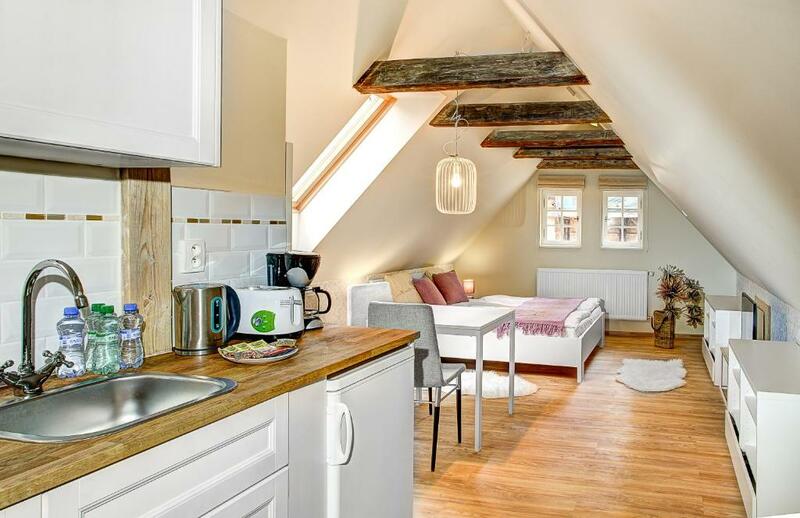 In a 15th-century building in the heart of Prague, the elegant ABC Suites offer you fully equipped kitchens or kitchenette, parquet flooring and free WiFi. The property is just a 5-minute walk from Old Town Hall with Orloj Astronomical Clock and a 10-minute walk away from Czech National Theater. Weekly cleaning service is provided. ABC Suites are located in a pedestrianized street. You can find numerous restaurants and shops in the area and private parking is available just a 1,000 feet from the house. The metro stops Staroměstská and Můstek can be reached on foot in 5 minutes. 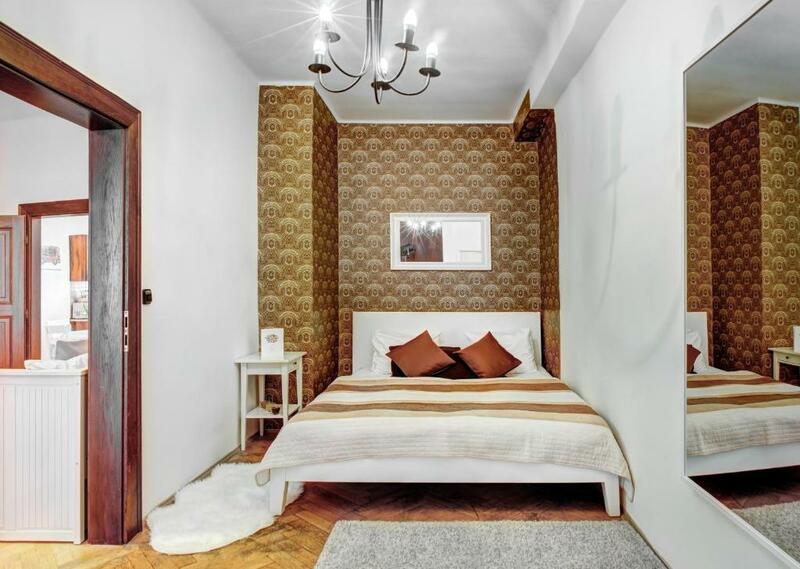 뀐 Located in the real heart of Prague, this property has an excellent location score of 9.7! When would you like to stay at ABC Suites? It offers a bedroom with a comfortable bed, a living room, a kitchen and a large bathroom with a bath tub. The apartment can accommodate 2 guests in the bedroom and additional 4 guests on the pull out sofas in the living room. It offers a kitchenette and seating are in a separate living space. 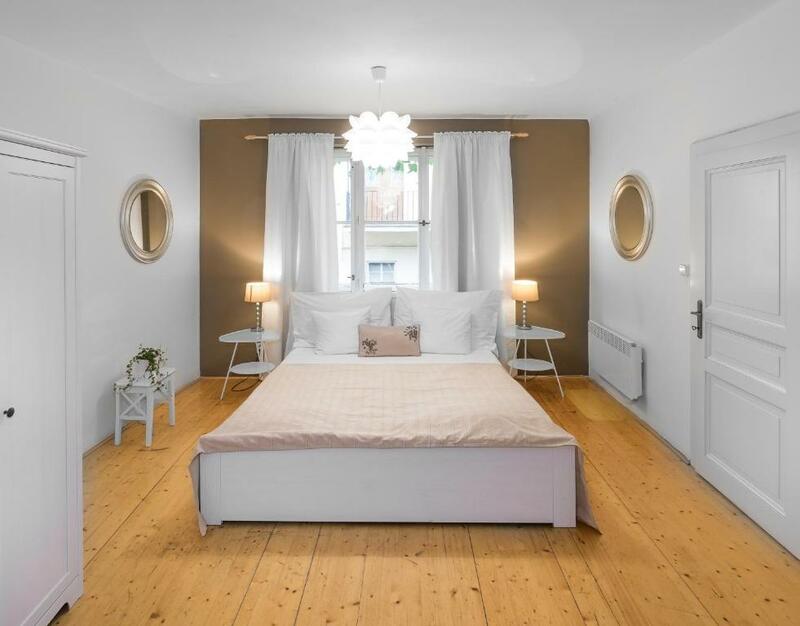 This fully equipped studio offers a bedroom connected with a living room, a fully equipped kitchen and a bathroom with a shower. The studio can accommodate up to 4 guests as there is a comfortable pull-out sofa. 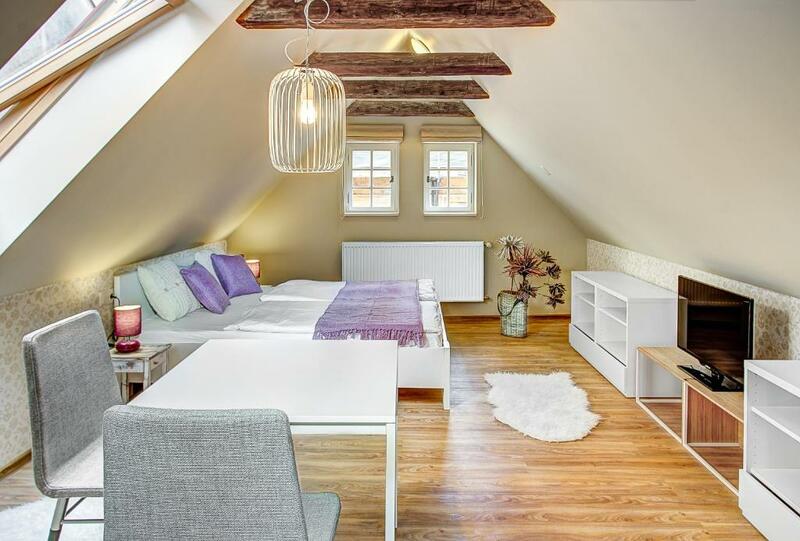 This original attic studio stands out by its romantic furnishings and cozy atmosphere with views of the city. 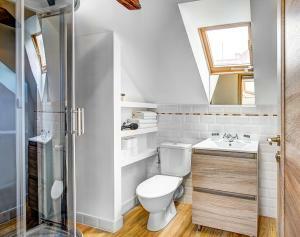 The studio offers a bedroom, eat-in kitchenette and a bathroom with a shower with a massage shower head. It accommodates up to 2 people. Free WiFi is available. 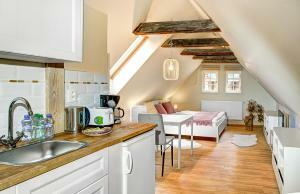 ABC Suites is a charming house from the 15th Century, typical for Old Town Prague. It's ideally located in the center of the city. There are 4 cozy apartments in the building, 5th one is located just 2 minutes walk away. Each apartment is tuned to pastel colors and offers cozy environment where you will feel right at home. There is no elevator in the property. There is free internet connection in the whole building, bedding, towels and hotel toiletries. 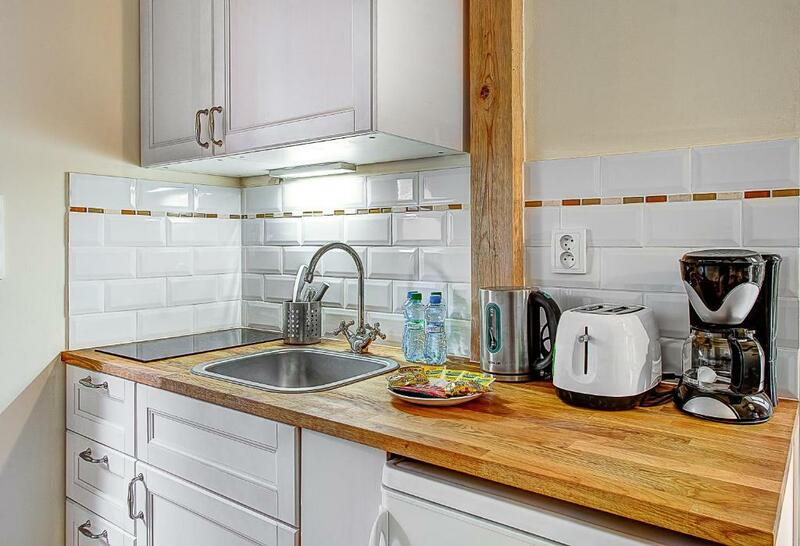 Each apartment has fully equipped kitchen or kitchenette, bathroom with shower or tub and bedroom with comfortable bed. Our team is here 24 hours 7 days a week. We are young team, smiling and always helpful. We prefer personal approach and we do our best to make your stay more memorable. The Old Town Square is just 4 minutes walk away and the Charles Bridge is 7 minutes away. House Rules ABC Suites takes special requests – add in the next step! ABC Suites accepts these cards and reserves the right to temporarily hold an amount prior to arrival. Please note that the nonstop reception is located at Řetězová 3, 650 feet away from ABC Suites. Please note that upper floors are accessible only by stairs. Please note pre-authorization of your credit card is required to validate your reservation. Please inform ABC Suites of your expected arrival time in advance. You can use the Special Requests box when booking, or contact the property directly using the contact details in your confirmation. The room was clean and fully furnitured. The main problem in that self catering accommodation was a complete lack of ventilation. You couldn't open the windows to air the apartment. The tiny shower room had a mechanical ventilator blowing the steam ... directly into the kitchenette!! And you couldn't open a window in the kitchenette to ventilate there. The result: black toxic fungus growing on the ceiling around the non-openable skylight. There was also black mold inside the box window in the bedroom! We found that situation a real health hazard - especially in case of people with allergies or asthma. Not to mention small children. Luckily we spent there only one night. It can be more clear. Dust behind the bed. Only complaint was the heat. It was on at 27 all the time and it couldn’t be turned down. But open a window and that sorted it out, although it was very cold when we where there so I don’t know what it would be like in summer. The property was in the perfect location. Can be a bit hard to find, but once found it’s very easy to navigate around the city. it was a little bit confusing. however, we managed to get to the reception under their help!